If you are traveling southbound on Interstate 59, get off on Exit 218, turn west onto State Highway 35. Continue to first traffic light on Highway 35 you will see tourism building on the corner and turn right between tourism building and Applebee’s restaurant onto Airport Road. Go approximately 1.5 miles on Airport Road and turn left at our entrance sign. If you are traveling northbound on Interstate 59, get off on Exit 218 turn West onto Highway 35 and continue to second traffic light on Highway 35 you will see tourism building on the corner and turn right between tourism building and Applebee’s restaurant onto Airport Road. 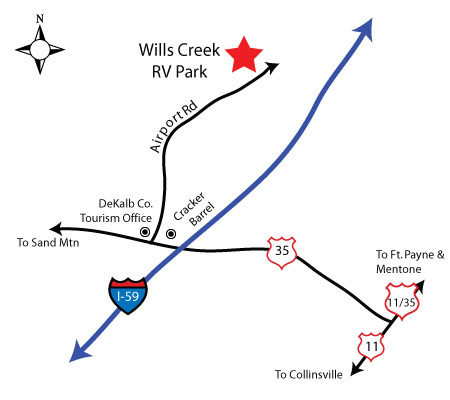 Go approximately 1.5 miles on Airport Road and turn left at our entrance sign.